Dry fly fishing is fairly new (within the last 100 years), but it is that segment of fly fishing methods which has made fly fishing the popular sport that it is. Trout rising to the surface of streams and rivers to capture emerging aquatic insects is probably the natural phenomenon that made people think about the possibility of fishing with artificial flies in the first place. Some humans are natural hunters. A trout rising to the surface of the water is a pretty visual occurrence, but how to capitalize on such a situation? Most aquatic insects are small and very fragile, and impaling one with a hook and using it for bait would be nearly impossible. Making that skewered insect float in a natural fashion would be an even more difficult task. 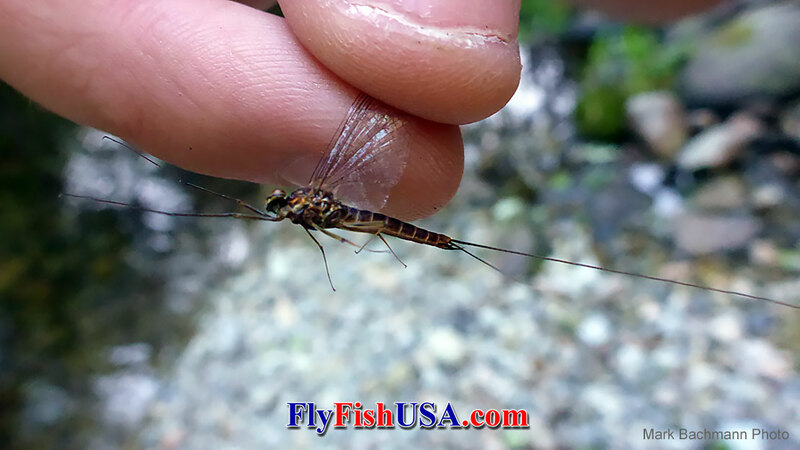 The basis of dry fly fishing is called "Matching the Hatch", which means that a facsimile of an insect is built on a hook using materials and methods to convince a fish that it is feeding on the real thing. Apparently humans have been doing this type of thing for thousands of years. There is evidence to suggest that as soon as people started to smelt metals, it wasn't long until they made metal fish hooks. After inventing metal fish hooks, it wasn't long until hair and feathers were attached to those hooks. But that doesn't mean that the first flies were dry flies. In order that an artificial fly would be able to float, it would have had to have been constructed on a hook that is very light weight. Aquatic insects and artificial flies are able to float, not because they are necessarily lighter than water. Instead they are riding on the surface tension of the water. It turns out that surface tension is the result of the tendency of water molecules to attract one another. This is called cohesion, which forms a barrier at the water surface, and resists foreign objects. This allows objects that are slightly denser that water ride on the surface. But there are limits to the strength of surface tension, and usually if for any reason an object that is denser than water breaks trough the tension, it will sink. The first metal fish hooks were crude by today's standards. That is because it has only been in the last century or so that all the impurities could be removed from steel to allow hooks to be made from wire that is of fine enough diameter to be strong enough to get the job done. In order to construct a fly that floats, the hook must be very light in weight. It is obvious that a feather dropped upon the water will float, at least until it soaks up enough water that it breaks the surface tension and then sinks. Water fowl feathers float longer because they are saturated with oils that resist intrusion by water. Early fly tiers found that certain chicken feathers (especially neck hackles) could be arranged to ride on the surface tension of water and support the rest of a fly. Chickens are not water fowl, they are upland ground birds and have little resistance to water. However, they produced the right kind of feathers that would ride the water if treated with waterproofing grease. Competition between tackle manufacturing companies is intense. Every item available for fly anglers to use on the water has been upgraded with every production run. Rods, reels, lines and leader are much changed from what was available 50-years ago. Fly rods and fly lines are most changed in the materials used in construction. 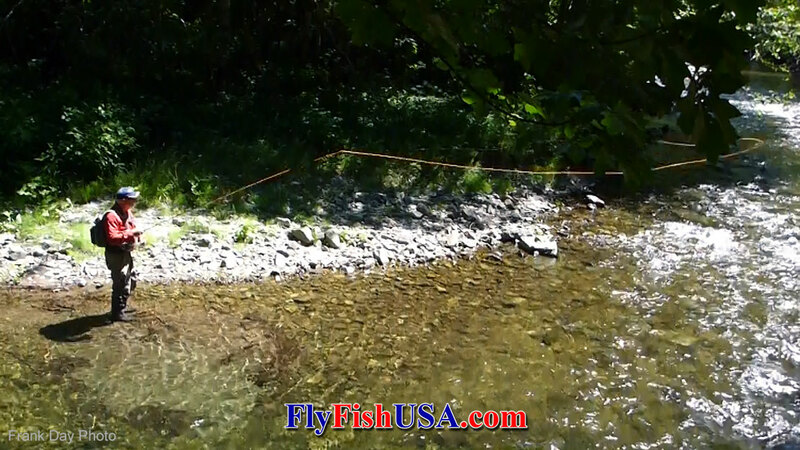 Fly casting is the generation of fly line speed. The faster an angler can make a fly line go, the farther the line and ultimately the fly will go. The faster the line speed the more an angler can ignore wind. Modern rods and lines are able to build fly line speed and accuracy that was unheard of 10 years ago. The newest rods are more stable during the cast and anglers are able to throw tighter loops, and cast more accurately. A dry fly that is placed exactly in the center of a trout's feeding lane is much more likely to get eaten than one that is a little off. Casting accuracy is paramount to angling success. A fly that acts like there is nothing attached to it is much more effective than one that is being pulled around by unnatural tension from the leader or line. That unnatural manipulation of the fly from the leader is called drag. 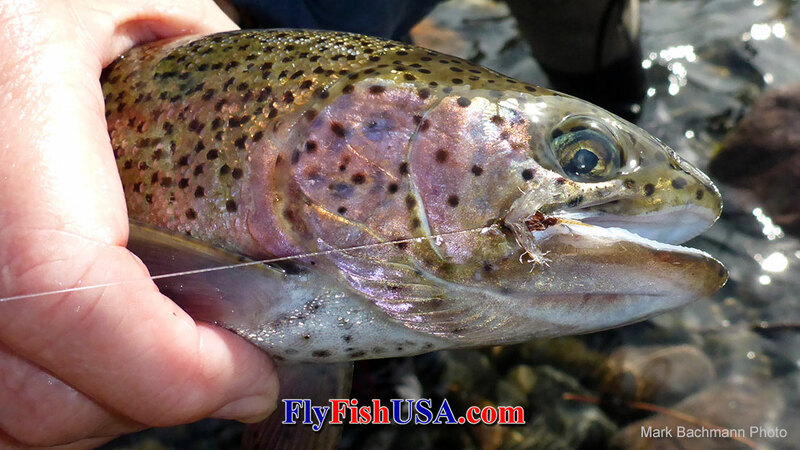 In most cases when dry fly fishing, drag is to be avoided like the plague. 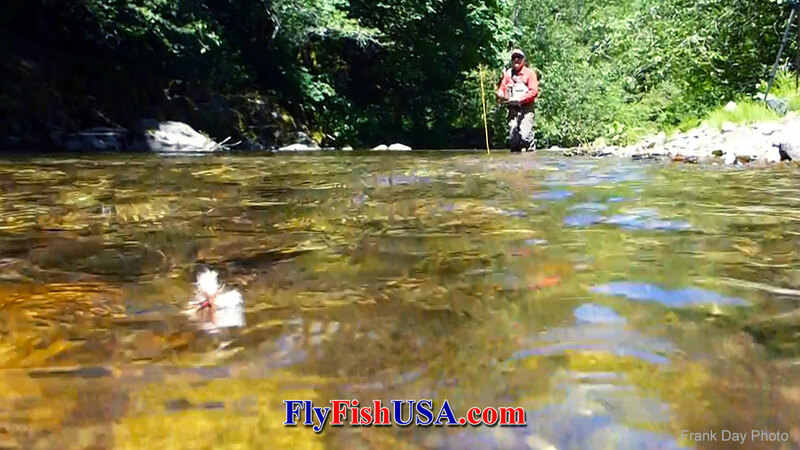 There are types of dry fly fishing where a fly dragging across the surface is done intentionally. Several examples come to mind. 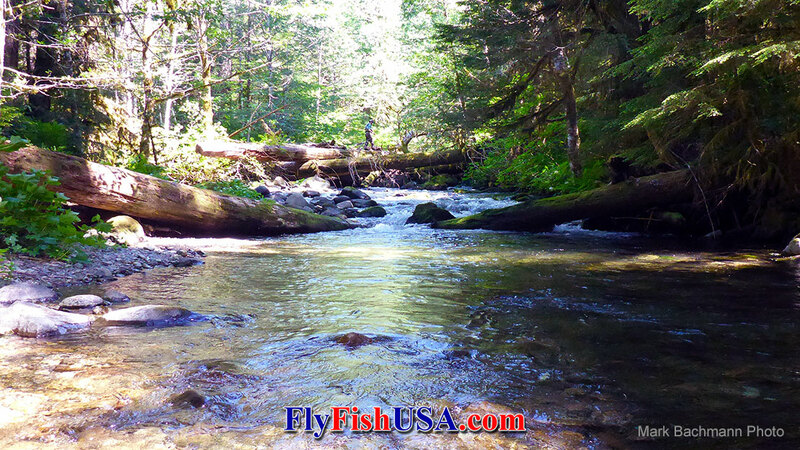 One is waking fly fishing for salmon and steelhead, where the fly is presented quartering down stream and the fly drags across the current and leaves a wake on the surface of the water to attract a fish to strike. Another is fishing the Travelling Sedge hatch on British Columbia lake where giant caddis run across the surface of the water. Fishing poppers for bass or certain saltwater fish is dry fly fishing where a large floating fly is manipulated with line tension to create a surface disturbance. Mousing for Alaskan rainbow trout is another example of inducing drag to the fly by mimicking a mouse swimming across a stream. Fishing a grass hopper pattern might require adding action to your fly. However, most hatches of aquatic insects require a drag free drift. Our world is changing continually. The only thing that man can't seem to do well is leave anything alone. Since 1850 watersheds have been harvested and manipulated for the providence of our modern civilization. The resulting environmental change adversely affected our once prolific wild fisheries. A vast State run hatchery program was supposed to mitigate for all the resulting damage. Around 1990, Oregon went from a plan heavily relying on hatcheries for fish, to a plan for restoring wild fish fisheries. Reasoning that these fisheries would never allow the harvest of these wild fish, catch and release became the object. Like all plans that involve the natural world, it is an experiment. At FlyFishUSA/The Fly Fishing Shop, we believe the experiment is worth pursuing. An angler gets to test their skill against the fish and then turn it loose essentially unharmed. Please pinch down your barbs. Do the least damage possible. Thank you. Comments are welcomed. 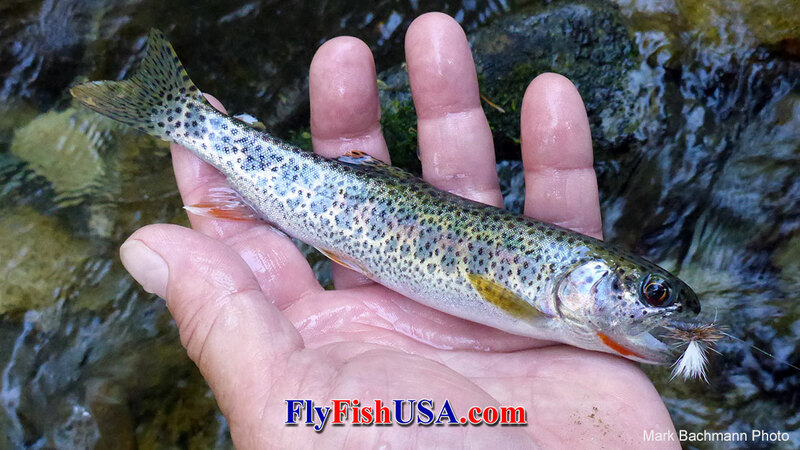 Please check out our extensive selection of Dry Flies.